Many people are aware that February is Black History Month and that Presidents Day falls on the third Monday of the month, a national holiday that originally celebrated President George Washington’s birthday but is now popularly viewed as a day to celebrate all U.S. presidents past and present. 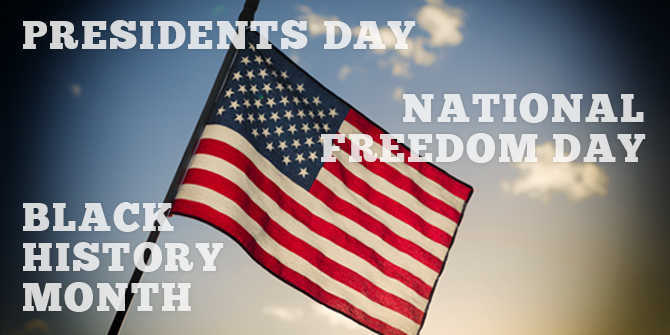 But not as many are aware of National Freedom Day on Feb. 1, a day that involves both black history and a U.S. president. National Freedom Day marks the day in 1865 when President Abraham Lincoln signed a joint congressional resolution proposing the 13th Amendment to the U.S. Constitution, which eventually ended slavery. 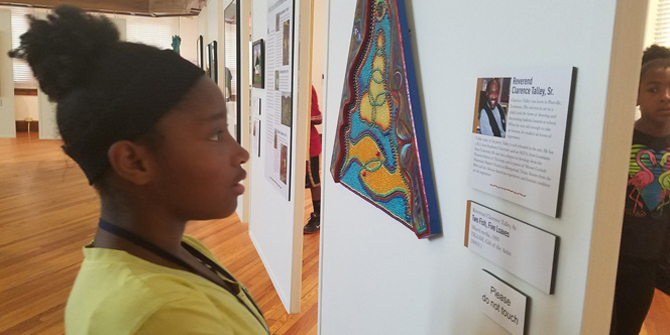 The Kansas African American Museum is a regional arts and cultural museum in Wichita dedicated to the education, identification, acquisition, research, collection, exhibition, presentation and preservation of art reflective of African-American life and culture. “From the Heartland: The Kansas Heritage of President Barack Obama” opens on Feb. 4 and will be on display through April 22. Timed to coincide with the nation’s 44th president and first African-American president leaving office, this exhibition reflects on the influence of President Obama’s deep Kansas roots and on the Midwestern values of his mother and grandparents, who raised him. The oil industry brought two of his great grandfathers, Rolla Charles Payne and Harry Ellington Armour, to Kansas. One settled in Augusta, the other in El Dorado. Obama’s grandfather, Stanley or “Gramps,” was born in Wichita, as was his mother, Stanley Ann. This Kansas setting for his story is as unlikely as it is perfect. It’s a story of a literally African and American child being raised by white parents from a nearly homogenous Kansas. The Sunflower state proudly entered the union as a “Free State,” but has long wrestled with a complicated racial history that included riots, lynching and segregation. Those complexities, hate and hope, emerged in his presidency. Jay Price, history professor at Wichita State University, will present a free lecture on the Kansas roots of President Barack Obama starting at 1:30 p.m. on Feb. 15. The museum hosts a different free Senior Wednesday lecture the third Wednesday of every month. Other exhibits scheduled for 2017 at The Kansas African American Museum: “The Legacy of the Kerner Report,” April 29 – Aug. 19; “Black Women Photographers,” Aug. 26 – Oct. 21; “Samella Lewis,” Oct. 28 – Jan. 20, 2018. A visit to the Museum of World Treasures – a world history museum with an eclectic collection ranging from dinosaurs to mummies to swords – is a great way to commemorate Presidents Day in Wichita. The second floor of the three-story museum has a Hall of Presidents, which features documents and other artifacts from every President of the United States through Barack Obama. They have autographs from each POTUS, a lock of George Washington’s hair, a replica of the desk that is in the Oval Office and more. The second floor also has a rare original draft of the Bill of Rights and major exhibits on the Revolutionary War, the Civil War, World War I and World War II. Visit our website for a full listing of attractions and upcoming events or download the free Visit Wichita mobile app available for Apple or Android smartphones and tablets.